Approaching ‘national treasure’ status, David Walliams is one of the nation’s favourite comedians and entertainers. But did you know that he’s the biggest selling children’s author to have started writing since the year 2000? 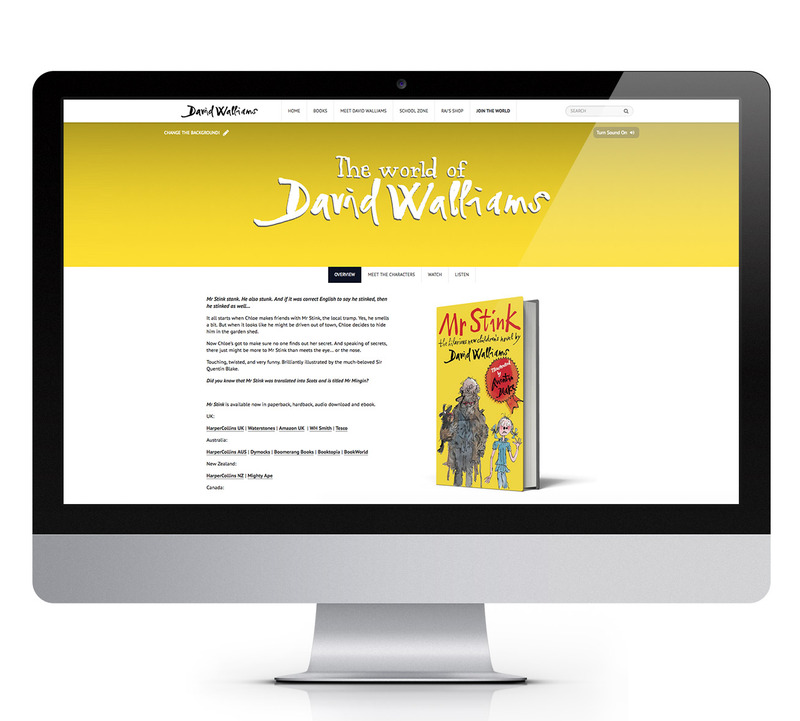 With books such as Mr Stink, Ratburger and the Boy in the Dress, Walliams has created a whole world for his characters to live in, and it was with this in mind that we were asked by Harper Collins to create a ‘class leading’ website that brings this world ‘alive’. Incorporating the beautiful illustrations of Sir Quentin Blake and Tony Ross, we created a bright and distinctive site that allows users to customise the site to feature the colour scheme and style of their favourite book. 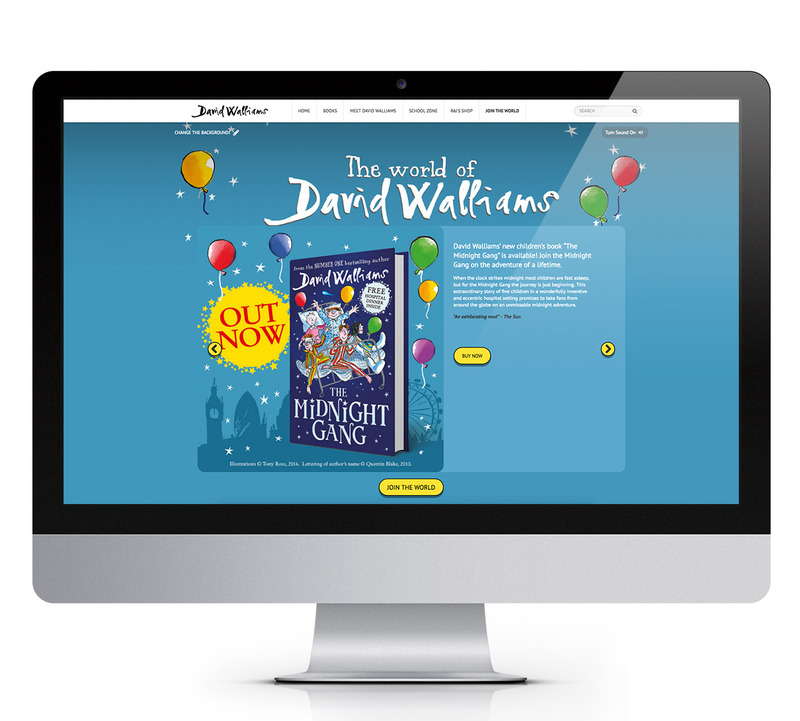 Animation, video, sound effects and audio of David reading passages from his books all combine to create a site that appeals to both parents looking to purchase the books and children looking to explore their favourite characters. The homepage is organised using colourful cards that can be filtered to display the type of content of most interest to the user, and includes one or two surprises to keep mischievous minds active. The site uses a responsive grid system that creates the optimal layout for the size and shape of the browser that it is loading into, ensuring that it looks good across all devices.